The Secretariat has received questions from CITES Parties and journalists, as well as messages of concern from the general public, regarding measures proposed by the Republic of South Africa1 relating to the domestic trade and the export for personal purposes of rhinoceros horn, or a part, product or derivative of such rhinoceros horn, belonging to certain rhinos from four species. The application of relevant CITES provisions to South Africa’s proposal is rather complex. In response to questions and concerns raised, the CITES Secretariat has prepared the following Q&A in an effort to help explain the way in which the Convention deals with such issues. It should be noted that the CITES Secretariat is not, through this Q&A, offering any comments on the proposed measures themselves. What kinds of rhinos are concerned? What are the CITES rules concerning international trade in Appendix I items for personal purposes? The Convention provides that, with the exception of hunting trophies of Southern white rhino, all rhino horn from the rhinos mentioned above are to be treated as specimens of species included in Appendix I2. As such, horns from such animals in the wild3 cannot be internationally traded if the use is for primarily commercial purposes. Such rhino horn could only be traded commercially if it were to be on Appendix II of the Convention, which is not the case today and can only be determined by the CITES Parties and not unilaterally by one State. b) the Management Authority of the State of import must be satisfied that the specimen is not to be used for primarily commercial purposes. b) the Management Authority of the State of export is satisfied that the specimen was not obtained in contravention of the laws of that State for the protection of fauna. 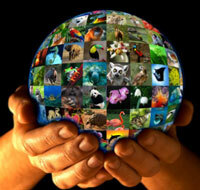 The provisions of the Convention provide an exemption to CITES controls for ‘personal and household effects’. However, this exemption does not apply to Appendix I specimens, such as the rhino horns mentioned above, when acquired by the owner outside his State of usual residence and being imported into that State5. The proposed South African measures concern the export of rhino horns by persons who are not citizens or permanent residents of South Africa. Therefore the exemption for personal and household effects cannot be applied to them. Have Appendix I rhino horns been exported for personal use before? A limited amount of non-commercial trade has taken place for a number of years. CITES Parties have reported the import and export of around 65 rhino horns for personal purposes over the last ten years6. Trade in specimens of other Appendix I listed species also occurs under similar circumstances. How will the Management Authority of the State of import be satisfied that the specimen is not to be used for primarily commercial purposes? The CITES Parties have adopted general principles for Parties to use when assessing whether the import of a specimen of a species included in Appendix I would result in its use for primarily commercial purposes7. If they are implemented, how will CITES Parties know if the measures adopted by South Africa are having a harmful effect on the conservation of rhinos? The CITES Conference of the Parties is also charged with considering draft decisions formulated by the CITES Secretariat on the basis of the report8. What measures have been agreed to tackle illegal activities related to rhinos? Between meetings of the Conference of the Parties, the CITES Standing Committee is instructed to pursue actions aimed at ending rhinoceros poaching and illegal trade in rhinoceros parts and derivatives and to evaluate measures taken by Parties to prevent and combat it9. The CITES Conference of the Parties has directed all rhinoceros range States to continuously review poaching and trafficking trends, to ensure that the measures they implement to prevent and combat rhinoceros poaching and rhinoceros horn trafficking remain effective and are quickly adapted to respond to any newly identified trends10. The CITES Conference of the Parties in Resolution Conf. 9.14 (Rev. CoP17) on Conservation of and trade in African and Asian rhinoceroses also urges and recommends a number of measures and activities to be implemented and undertaken by CITES Parties to support the conservation of rhinos, and to combat rhinoceros poaching and rhinoceros horn trafficking11. In addition to the above, a number of other Decisions to combat rhinoceros poaching and rhinoceros horn trafficking were also adopted by the Conference of the Parties12. More broadly, the CITES Secretariat is charged with identifying instances where the provisions of the Convention are not being effectively implemented13. Compliance measures can be taken by the CITES Standing Committee against Parties that fail to take sufficient remedial action within a reasonable time limit, when deficiencies in their implementation of the Convention are drawn to their attention14. 3 The rules are slightly different for rhino horn from animals that have been bred in captivity, but at present, no captive breeding facilities qualify to trade internationally in rhino horns for primarily commercial purposes.